The future is dark, the present burdensome; only the past, dead and finished, bears contemplation. Those who look upon it have survived it: they are its product and its victors. No wonder, therefore, that men concern themselves with history. The department is passionately committed to the belief that an understanding of history is a vital prerequisite to the life of an active citizen. No one can hope to develop an informed understanding of the world they live in without at least some knowledge of the past; of how we got where we are. To that end the department is committed to delivering an engaging and stimulating historical education to students at all levels, so that even those who do not continue their study of history beyond KS3 have some notion of why the world is as it is. Moreover, the study of history is not only an end in itself but provides all students with skills (such as analysis, synthesis, communication and research) which will equip them to perform well in a large number of academic and vocational contexts. Pupils will investigate how England came to be united under Saxon rule, and what the limits of this rule were in the British Isles. Over the year they will discover how the balance of power between the Church and Monarchy was tested in this period, and how the balance of power changed over time. They will be able to link these changes to wider changes in Europe that were shaping the Church. They also will investigate how the Medieval Church impacted upon the Middle East, and what impact contact with the Islamic empire had on the West. There is an opportunity here to link world events to the local area: students will visit Torre Abbey in the Summer Term (built as a result of the Richard being freed after his capture whilst on Crusade, sold off to the Carey’s during the Reformation). Pupils will investigate the key points in the development of Britain today. This will include a study of popular challenges the power of English monarchs, the growth of the power of Parliament and a consideration of whether such challenges benefitted the people of England. Pupils will discover how Wales, Ireland and Scotland came into the UK, and question how ‘united’ the Kingdom was. 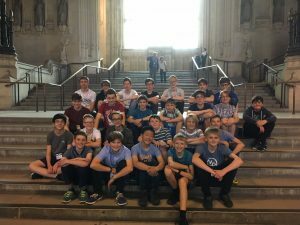 Pupils will also learn about the changes Britain underwent in the Industrial period, and what it was like to work in the most economically advanced country in the world. They will examine British views of the French Revolution, and consider the importance of this event in how Britain’s democracy evolved in the 19th century. Pupils will investigate how Britain’s economic power led her to shape the histories of other countries, as well as looking at the impact that the Empire had on Britain’s culture. They will consider how the history of our Empire might still impact on what it means to be ‘British’, and our perception of our place in the world today. Pupils will consider whether they think the century dominated by two world wars should be remembered as one that was primarily dominated by conflict. They will be able to explain the causes of the two wars, their key events, impact on British civilians and compare measures taken to stop conflicts in their wake. They will investigate the holocaust and other genocides, and come to conclusions about how and why genocide sometimes occurs in wars. They will examine the growth of new ideologies in Europe and their impact on countries abilities to cooperate. They will come to conclusions about how far the nature of the Cold War differed from other conflicts. Finally, they will investigate modern conflicts to identify common causes and outcomes to examine the role and limitations of the UN in peacekeeping today. 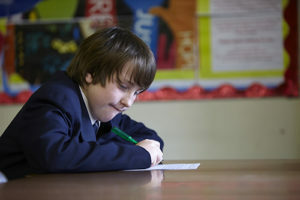 Pupils will complete two written exams for GCSE. 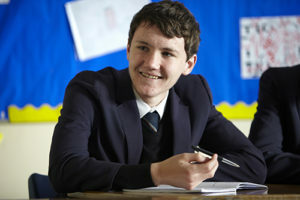 In year 10, pupils will focus on British History and will study Britain and the world: migration, empires and people. Topics that will be studied range from Viking invasions, slavery to the fall of the British Empire. The second aspect will be a depth study of Elizabethan England, which will include an historical site visit in preparation for the exam. In year 11, the focus switches to Modern History and again pupils will study two aspects. he final aspect to be studied is Conflict and Tension in Asia, 1950-1975, where students will study the Korean and Vietnam War and its impact the social and political climate at that time. At A-level, students have the opportunity to study two key periods in History over the two years. They will study the History of the Tudors and the Russian Revolution and rule of Joseph Stalin. At the end of year 13, students will then sit an exam on each. Students also have the opportunity to complete a Historical Enquiry, which will be a 4,000 essay based on Race Relations in the USA (1865-1968). At IB, students cover a wide range of History. Students will study the causes, effects and practices of Global War and authoritarian states. Those that are completing the Standard course, will complete two exams and Higher students will complete three. All students will complete a brief Internal Assessment on an aspect of History of their choice. Students study four main themes, covering Peace and Conflict, Power and Sovereignty, Development and Human Rights. Both Standard and Higher students complete two exams as well as an Engagement Activity where they have to become engaged to a political aspect such as Health, Representation and the Environment. Students across the Key Stages get involved in two societies that takes place every week. 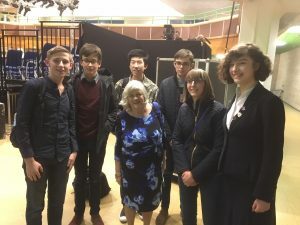 In Politics Society we have been very fortunate to have outside speakers in such as Kevin Foster MP, Ben Bradshaw MP, Councillor Swithin Long and Ann Widdecombe. In History Society, students have been busy creating Anglo-Saxon goblets out of cow horns and building Roman Shields. Each year we also run a joint History and Politics Society trip to London to visit the British Museum and the Houses of Parliament. It is very important that students have the opportunity to experience History outside of the classroom. Therefore, the Department runs numerous trip across the academic year. 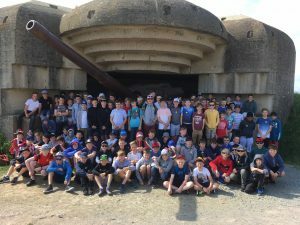 Typical trips include a GCSE Historical site visit to Montecute House to look at Elizabethan England, the Battlefields trip, where students visit key World War One battlefields and finally our annual Year 7 trip to Normandy. On this trip we take 105 Year 7 students to visit the D-Day beaches and museums, but also, to extend their knowledge of William the Conqueror, visit Falaise Castle and the Bayeux Tapestry. Probably the best site for students is SchoolHistory and Active History, which has loads of info, resources and links. Also superb for information is the Spartacus site which covers almost any subject you could be interested in. Another useful site is Schools History, not to be confused with SchoolHistory! The BBC has a lot of useful information on its history site and on the BBC History Magazine site as well. For useful History and Politics articles and tips, follow @tbgs_History on twitter!